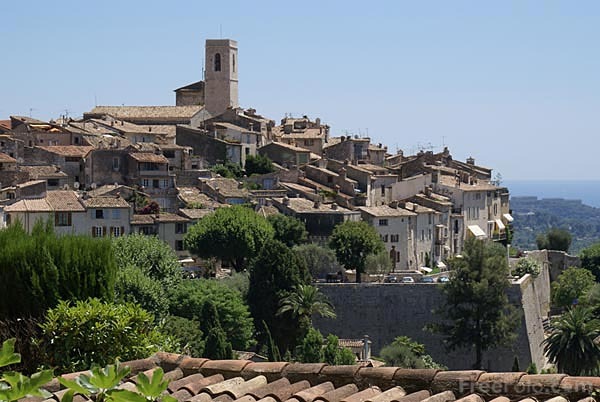 Picture of Saint Paul de Vence, a beautiful medieval fortified village perched on a hilltop between two deep valleys. Originally made famous by artists Picasso and Matisse and today is a chic place where the rich and famous have their second homes. VIEW: More images from the category St Paul de Vence, Cote d'Azur, France or taken at the same location or around the same time .